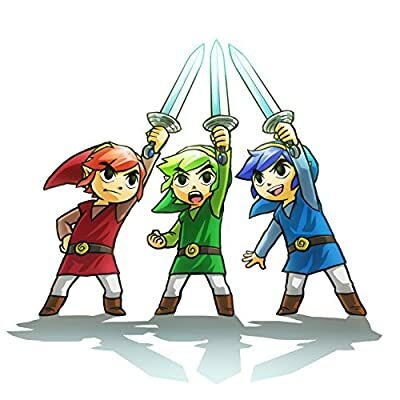 Three players take on the role of individual Link characters and team up to work cooperatively to solve puzzles and battle bosses in dungeons. 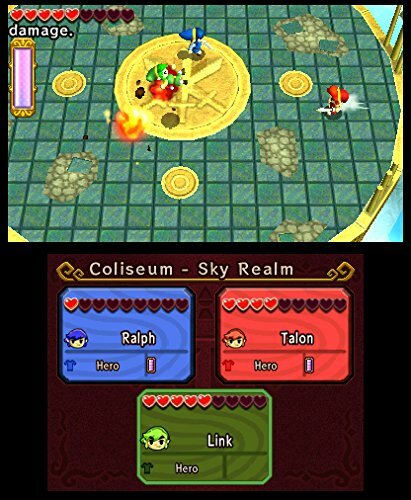 The game features the same top-down view and visual style of The Legend of Zelda: A Link Between Worlds. 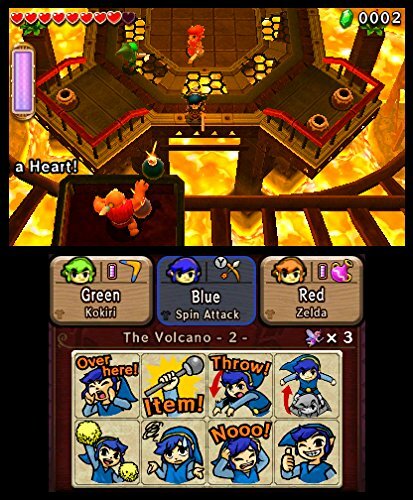 Players must work together, as all hearts are shared by the group as a whole. 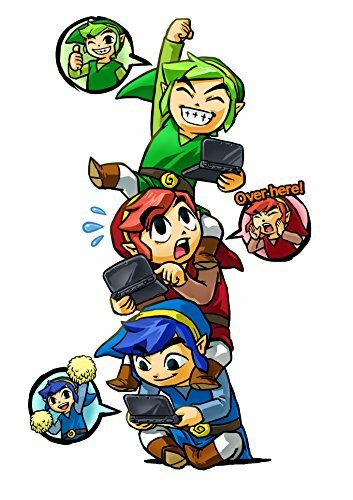 All three Links can stack on top of one another to create a Totem to reach new locations to solve puzzles or fight enemies. 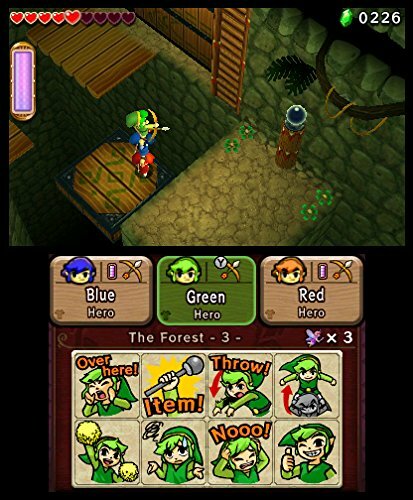 Different outfits offer unique abilities. 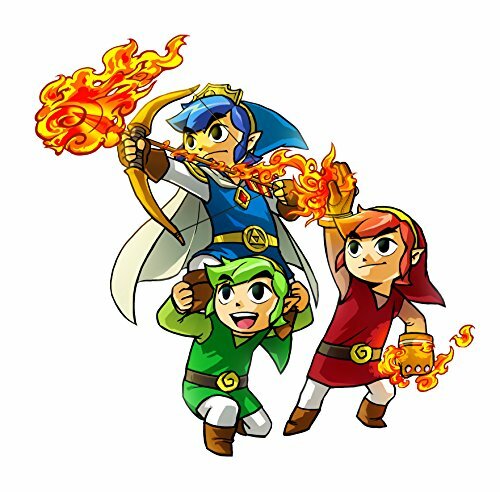 The game is scheduled to launch this fall.